Michael S. Sparer Ph.D., J.D. Award Year: 2002 For more than 200 years, policymakers have struggled over how best to balance power and divide labor between the federal government and the states. Michael S. Sparer, J.D., Ph.D. is interested in intergovernmental partnerships and the potential they hold for creating innovative policy and programmatic responses to health and health care problems. His project, Inter-Governmental Health Care Partnerships: Promoting Innovation, Inefficiency, or Stalemate?, will assess the advantages and disadvantages of such partnerships and examine whether power-sharing by different levels of government encourages or deters innovation. Through three case studies, Dr. Sparer will take a close look at recent balance-of-power shifts in federal regulatory, fiscal, and public health policy. These include federal actions aimed at playing a greater role in patient protection, increasing the discretion of states over Medicaid policy and program design, and an expanded federal role in public health protection as a result of the terrorist acts on September 11. 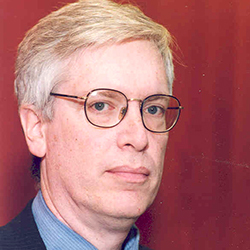 Michael S. Sparer is a professor and chair of the department of health policy and management at the Joseph L. Mailman School of Public Health at Columbia University. He received a Ph.D. in political science from Brandeis University and a J.D. from the Rutgers School of Law (Newark). Sparer spent seven years as a litigator for the New York City Law Department, specializing in intergovernmental social welfare litigation. He now studies and writes about the politics of health care with an emphasis on the state and local role in the American health care system. He is the author of Medicaid and the Limits of State Health Reform (1996) as well as numerous articles and book chapters. Sparer, M. Medicaid and the U.S. Path to National Health Insurance. NEJM, 2009, 360(4): 323-5. Sparer, M. States and the Politics of Incrementalism: Health Policy in Wisconsin during the 1990s. JHPPL, 2004, 29(2): 269-91. Sparer, M. Leading the Health Policy Orchestra: The Need for an Intergovernmental Partnership. JHPPL, 2003, 28(2-3): 245-70.